You are here: Home / What Is A Lead Magnet? A lead magnet is a funnel based approach to gaining new email subscribers. Normally it starts with a banner ad or some kind of text link on your site/blog that magnetizes the visitor into signing up to your newsletter by offering them something (generally for free) in return. 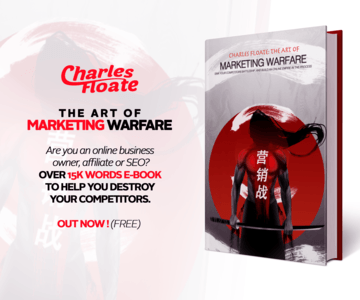 This ad would normally click through to my book download page, in which they can signup to my newsletter and get a free copy of my eBook on internet marketing – Which is specifically targeted to the readers on my blog, black hat internet marketers. Digital Marketer did a fantastic list of 9 lead magnet ideas & examples which should give you a bit of inspiration when making yours. A few people asked me what I use to make my book download landing page, it’s Instapage – I highly recommend them.